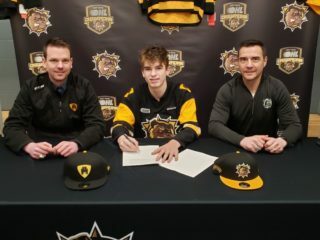 Hamilton rookie Navrin Mutter scored his first two OHL goals to help lead the Bulldogs over the Ottawa 67’s 6-2 Saturday night at FirstOntario Centre. Mutter (1) gave the home team a 1-0 lead at 17:44 of the 1st period as he snapped one home. Ottawa bounced back with a power-play goal at 19:53 to send both teams to their dressing rooms tied 1-1. 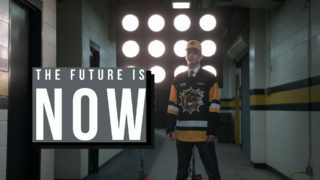 The Bulldogs got the only goal of the 2nd period and it was Mutter (2) again as he tipped in a point shot to make it 2-1 Hamilton after 2. The 67’s tied the game 2-2 with their second power-play goal of the game at 7:06 of the 3rd, but then Hamilton took over. 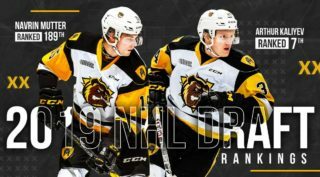 Matthew Strome (12) converted on the power-play at 8:14 to make it 3-2, newcomer Nicholas Caamano (13) scored in his Bulldogs debut to up the lead to 4-2 at 8:24, Strome (13) struck again at 13:04 with an incredible example of hand-eye coordination with a lacrosse-style goal to make it 5-2 and then Brandon Saigeon (11) finished up the scoring at 17:17. With the win, the Bulldogs retain their hold on 1st place in the East Division and the Eastern Conference with a record of 14-6-2-3. 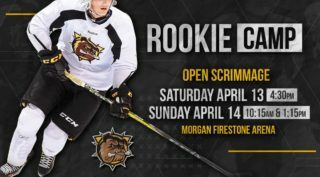 The Bulldogs are back in action on Thursday November 30th in Saginaw, Friday December 1st in Flint and then back home on Sunday December 3rd to face Mississauga at FirstOntario Centre at 2 pm.